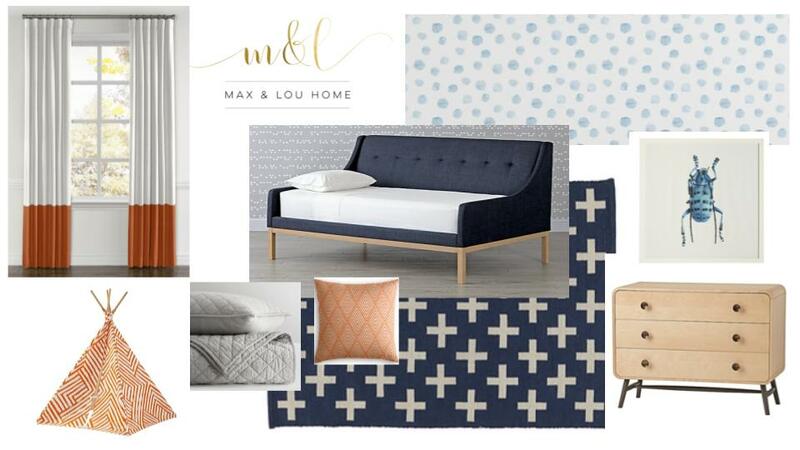 Design boards are the perfect way to give our clients a 2D visual of the space we are hoping to create for them. We tend to work them in to our overall design in a couple of different ways. They can serve merely as inspiration and a jumping off point, or we can replicate them to a T. In the case of this super cool little guy's room, we did the latter. Seeing the final product and how the rooms truly do come to life never gets old!